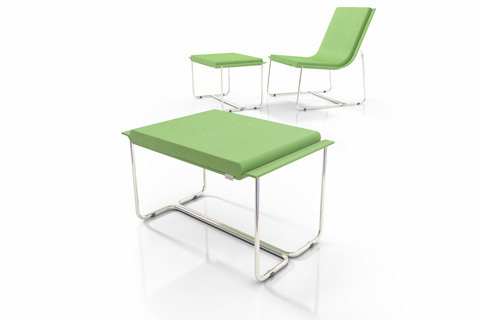 Being the most pleasing place we could imagine relaxing, the notion of floating on a cloud was the starting point in our quest to define a well crafted and comfortable easy chair and footstool. The ‘cirrus’ easy chair and footstool’s aesthetic was borne from the thin atmospheric clouds which drift along at high altitudes. 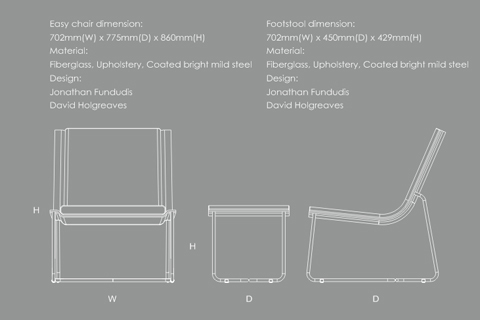 Using this approach to the design we endeavored to achieve a high level of comfort and visual lightness using the thinnest profiles, quality materials and hidden structure resulting in a restful seating position ideal for putting up your feet and allowing yourself some time for quiet contemplation.